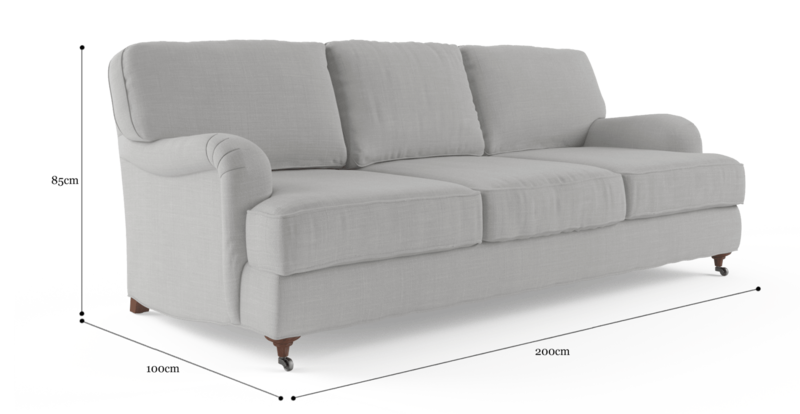 Every aesthetic of the Amelia has been fussed over creating a 3 Seater Sofa with just the right balance of accents. The rolled arm style and castor legs all create a memorable piece. 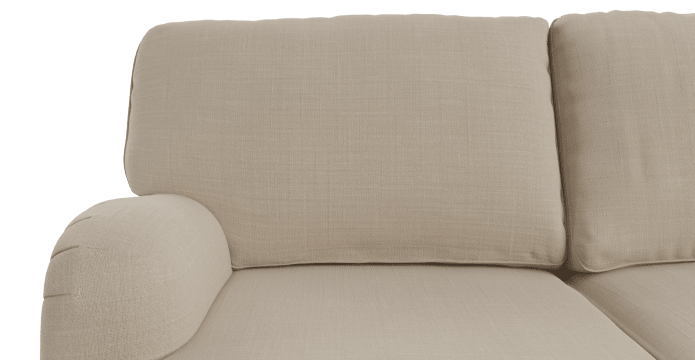 Crafted by our own furniture craftsmen, the Amelia 3 Seater Sofafeatures ahand tied spring suspension system, which offers ample bounce and support. Comfort is what underpins every great designer sofa, and the Amelia 3 Seater does not disappoint. Plush foam cushioning equates to a truly relaxing seat. 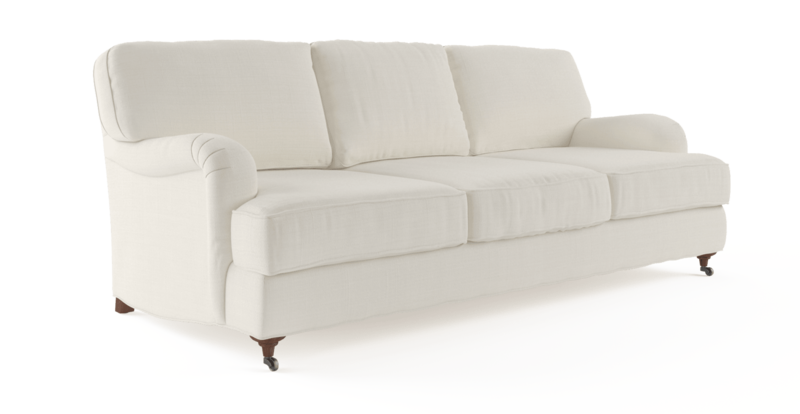 Like all great 3 Seater Sofas the Amelia strikes an idealbalance between stylish design proportions and spacious seating to seat 3 comfortably. Not too firm. Not too soft. It’s right in the middle, and gives a bit of both. Designed for a crowd that’s hard to please touch and feel the different levels of softness at our Studio by Brosa. How high is this product without the back cushion? Does this product have a feather filling? How long is the seat, from the front to the back? 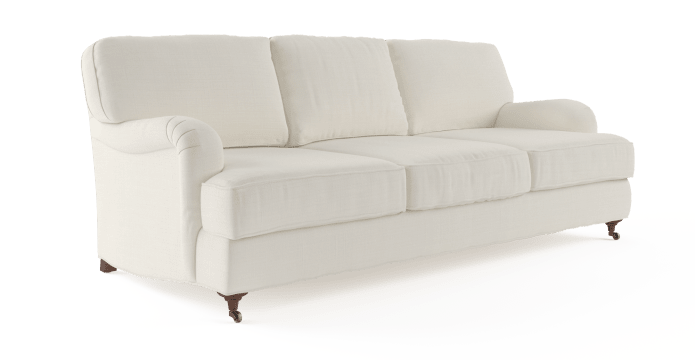 before using Brosa, I didn't know about and simply googled best sofa and and liked what I saw....but since purchasing from your company I would recommend it to friends and family without hesitation. It was easy, prompt and you got what you thought you were buying. Thank you for making it such a pleasurable experience and I am very happy with my purchase. Super comfy wide seats, lovely fabric and not lumpy as pictured, which put me off purchasing initially as I didn't want that lumpy look. I purchased the "cloud grey" 3 seater, 2 seater and 2 chairs, turned legs with caster wheels are lovely. I have one chair in my bedroom, which looks great, and would encourage the pieces be considered for this. I have the remainder off my pool area and have teamed them with a tropical theme and natural oak, blues/greens/greys and even black highly textured and layered, it looks great. They're genuinely go anywhere pieces and the caster wheels add classic style. Very happy so far but it's too early to comment on wear and spot cleaning of fabric. Great product. Great price and reasonable delivery charge (mine was free due to promotion). Can't get these product where I live either. Quick Delivery. Good quality furniture. 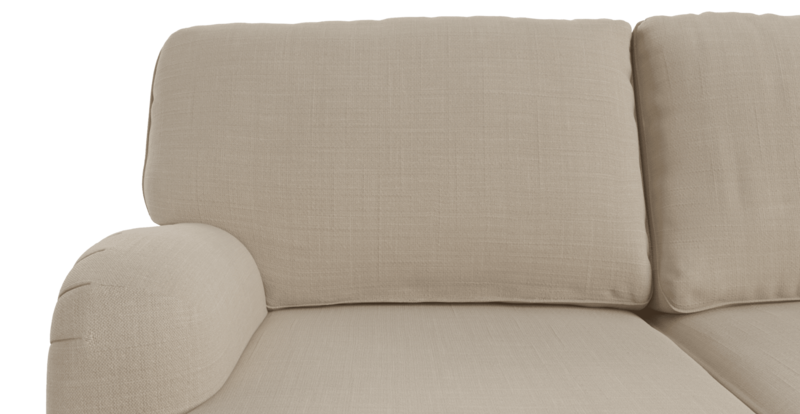 See, touch and feel our fabrics used on our Amelia 3 Seater Sofa. For Free! Simply select up to 3 fabrics and add them to your cart. Delivery is on us.